A pocket-friendly place that aims to make a guestÕs stay hassle-free. With a simple architecture and a colourful interior decor, Hotel Manohar Palace is a fine place to stay at when one is visiting Jaipur. The bedrooms at the hotel appear warm and cosy with one of the walls covered with wallpaper while the rest is painted a light colour. 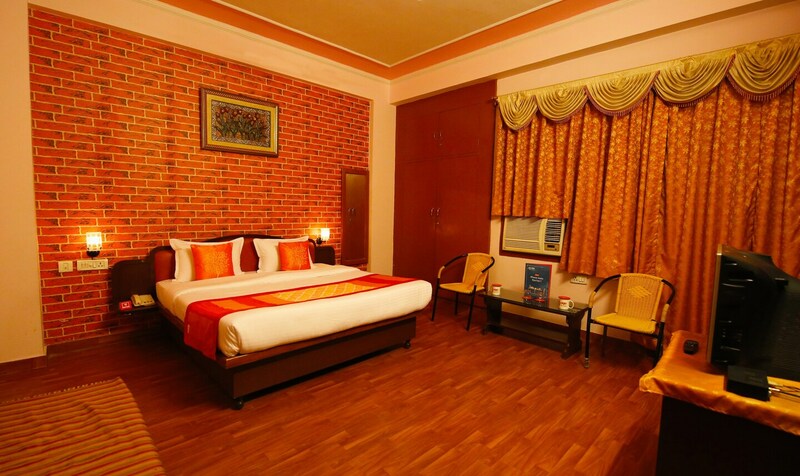 The rooms have modern woof furnishings along with soft glowing lights that allow the guests to relax back. The hotel has an in-house restaurant, a bar, a seating area, a dining area, a conference room and a banquet hall available for the guests to make use of during their stay. Other amenities offered by the hotel are a geyser, an elevator, power backup, parking facility and a card payment option.